association of international nature. 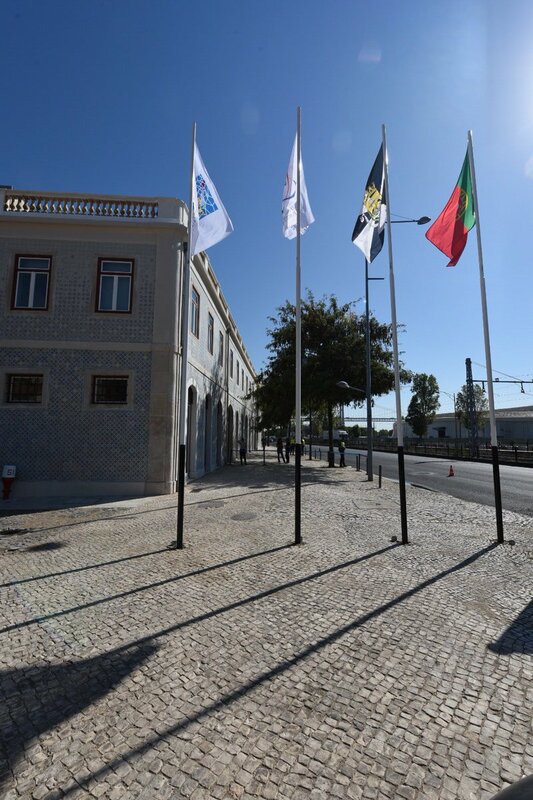 Its purpose is to promote cooperation in entrepreneurship, migration issues, culture, promotion of the Portuguese language and urban issues such as public health, water and sanitation and heritage conservation. Its current members (ranging from Effective Members, Associate, Observer and Supporter Members) are not only Municipalities, but also Banks, Universities' Associations, Government companies, foundations, private companies, etc. Its flag is the logo (http://pgl.gal/wp-content/uploads/2016/02/pr%C3%A9mio-uccla.jpg) over a white horizontal flag, as seen here (second flag from left to right): https://pbs.twimg.com/media/CtmIZ51WYAAaPrN.jpg (source: tweet) from @CamaraLisboa).